Here at Whisky Boys HQ I am about to taste a Teeling Whiskey for the very first time. 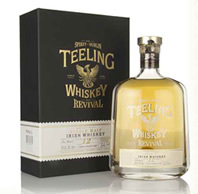 Teeling Revival V is the fifth and the final release of the ‘Revival’ series from the Irish distillery. Teeling Revival V is a 12-Year-Old Single Malt Whiskey. Firstly matured in ex-Bourbon barrels and finished in a combination of Cognac and Brandy barrels. It is non-chill filtered. This Revival V has a limited run of 15,000 bottles. Lets now have a wee taste. Nose… It’s all about the fruit, a soft, warm, comforting aroma of pears and apples, a wee hint of citrus fruits, the bourbon cask has shown well on the nose with plenty of vanilla and coconut. Taste… Sweet and dry, has an old style whiskey taste to it, vanilla ice cream on a bed of rose petals, the citrus notes are still on show, milk chocolate covered macadamia nuts, now the brandy and cognac casks bring out a hint of rich wine. Finish… Medium to long finish, satin feel to the palate, the honey and vanilla are still lasting the longest and at the end comes in oak woodiness. mark. Some of you may think this is a little expensive for a 12 Year Old. The more I sit here and sip away the more I am enjoying it’s subtleness and the flavour keep bouncing around my palate, this dram is quite exquisite. Well done to all at Teeling Distillery, hope to visit your distillery soon and taste some more of your expressions. 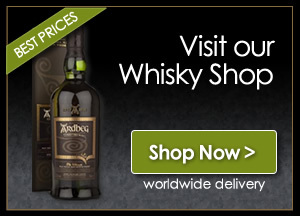 Next story The Scotch Malt Whisky Society – Why should you join?